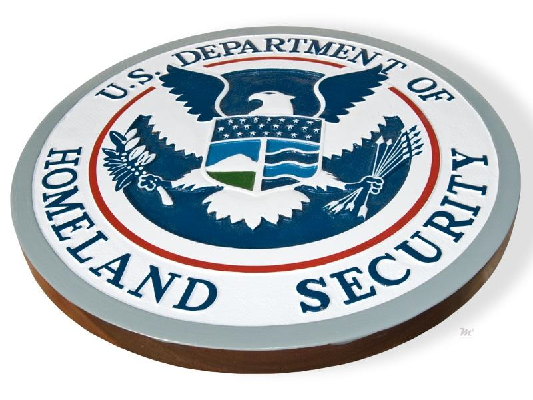 Kirstjen Nielsen was hardly a weak-kneed liberal as Homeland Security chief but she still fell foul of Trump’s disdain for the rule of law. 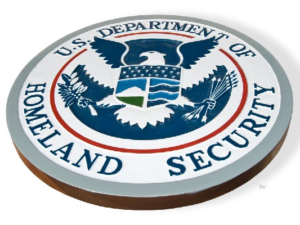 When she pushed back against his more extreme ideas because they clashed with U.S. immigration laws and federal court orders, he forced her to resign. Kevin McAleenan, the next pick for the job has not ruled out reinstating the separation of immigrant children and parents. NBC news reported that Trump has been pushing for months to go back to separating families, leading to a rift with those who said the move would not be legal. 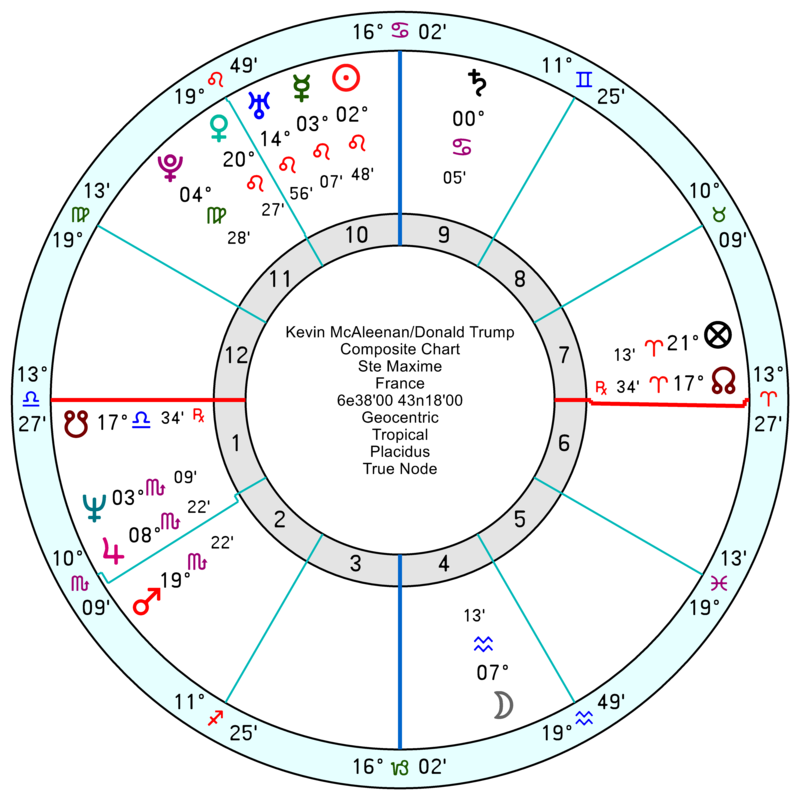 Kirstjen Nielsen, 14 May 1972, should have been a reasonable fit with Trump given that her Taurus Sun sat exactly conjunct his Midheaven; though that did mean it squared his Mars, so there would be an irritability factor. 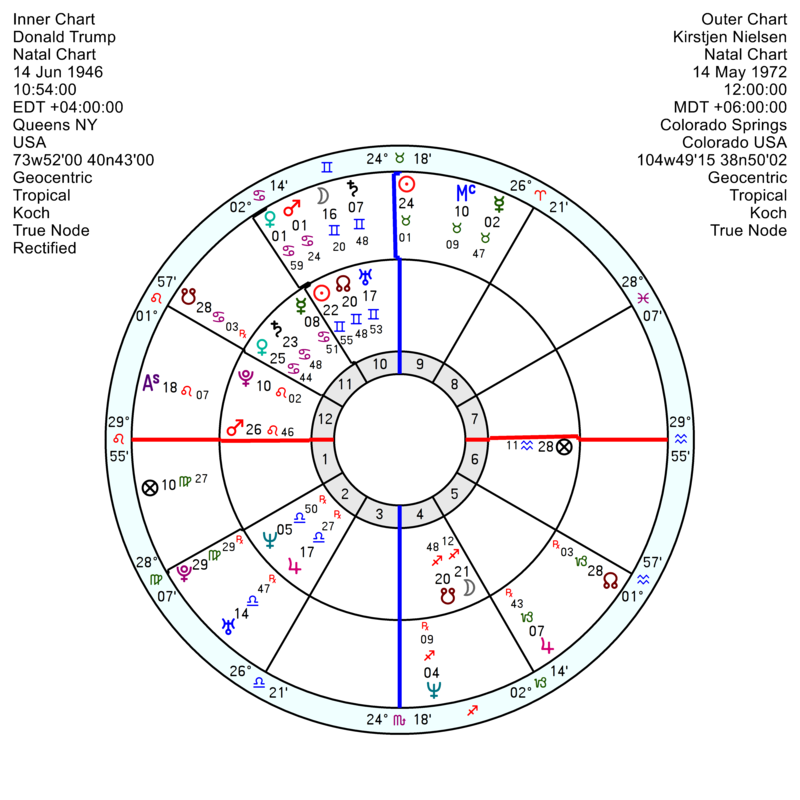 Their relationship chart had a controlling composite Sun square Pluto. 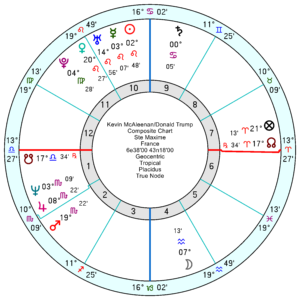 There’s nothing much showing on her chart (without a birth time) though her Gemini Moon may be catching the tr Neptune square. If anything, McAleenan looks a more volatile mix with both Trump and right-winger Stephen Miller who appears to be in there mixing it on the immigration front, stoking up Trump’s obsession. 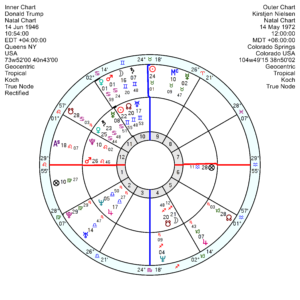 McA is a Sun Venus in Virgo with an unsentimental Air Grand Trine of Mars, Uranus and Saturn. He’s probably got a fairly dogmatic ideology with that Grand Trine but could be a loose cannon all the same. It makes Westminster’s floundering chaos seem almost civilised in comparison with the White House. She looks devastated. At least she didn;t have to face an AA cannon like someone in Kim’s family. And now the head of the Secret service is gone. More fallout from that surprise China golf-game?